The AMS 950R is the most advanced and powerful T3 framed turbo on the market. Utilizing the latest in billet compressor wheel technology and a newer, more efficient turbine this turbo spools as quick or quicker than the popular T4 framed 40R and makes more power! The AMS 950R turbo can produce up to 950 horsepower, nearing that of a GT42R in a much smaller, less expensive package. We consider the AMS 950R turbo the ultimate weapon for street/strip duty and a true wolf in sheep’s clothing. 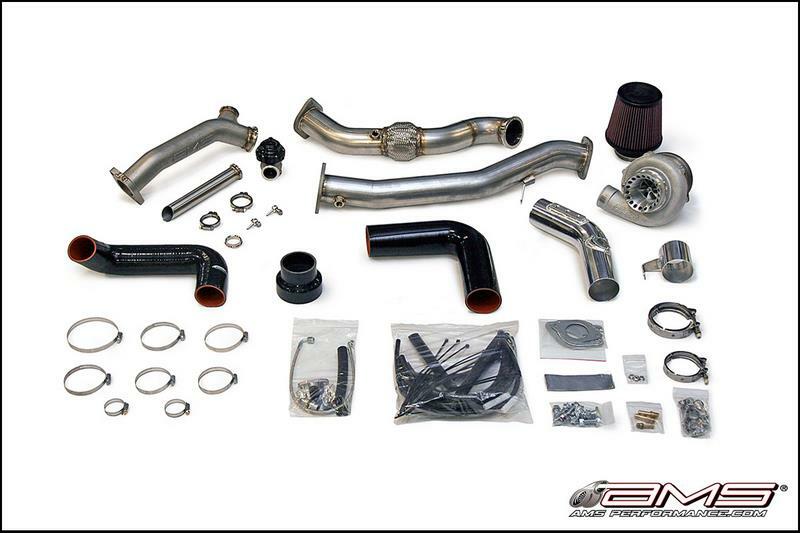 With power output ranging from 350 – 950 horsepower our turbo kits have just about every Subaru owner covered. On just our plain old GT30R kit with a top mount intercooler, fuel and exhaust upgrades we were able to put down 485 whp and over 500 ft. lbs. of torque! This same simple combination netted an 11.3 quarter mile time in a full weight 2007 STI on stock tires!!! Just imagine what an AMS 950R can do!